Modern day education has become amazing, thanks to education apps for students and smart software. Students around the globe are benefiting from a really engaging and interactive learning experience. 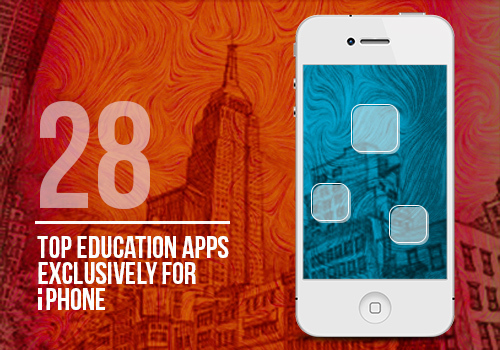 In fact, education apps are becoming an integral part of student lives. There are hundreds of apps that make studying easier and enjoyable for students on iOS and Android platforms. These apps come in diverse categories and include ones that can boost your thinking, language, problem solving, memory, comprehension and a lot more. 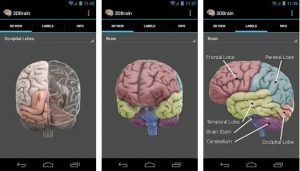 The 3D Brain app lets you have a detailed look into the 29 interactive structures of human brain just by rotate and zoom action of your touch screen. Students can get an idea about how injuries of certain brain areas affect the person’s health. These interactive structures give detailed notes on the functions, case studies, disorders as well as links related to recent research just by tapping on the desired area. Video sessions in your classrooms can be a lot interactive and interesting with this education app. The EDpuzzle app lets students to experience learning through videos outside the classroom by signing into the app. You can receive video assignments at home with audio notes and questions and even go through videos to analyze your level of understanding before solving the puzzles. The Quick Graph app features implicit graphs and tracing and works well with all standard coordinate systems. 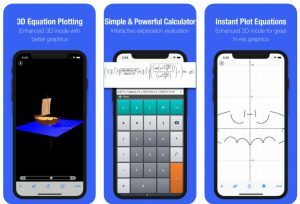 Wire frame and solid visualization, hyperbolic and inverse functions and improved equation visualization are the highlighted features of the app. This app functions with remarkable speed and you have options to copy, email or save the results to the photo library. Students can avoid the fear of forgetting or timely completion of the home works with this amazing app. The Homework App helps to add, view and finish the homework in a much easier way. Your homework projects can be organized better and there are options to add sub tasks for works that have multiple steps to complete. To highlight the importance of certain tasks, you can take snaps or colour code . The reminders help you not to forget the homework and a calendar section lets you schedule your tasks. This education app for students with iPhone from Motion Math is an engaging game for students to learn and understand fractions. Motion Math Fractions! app is a simple game in which you can follow a star that tries to make its way back home in a distant galaxy. The different levels of the game motivate you to continue playing. This in turn improves your learning graph. The game helps you to develop a quick and precise perception of fractions. With this free flashcard maker, you can now learn more quickly and top even the toughest classes with ease. 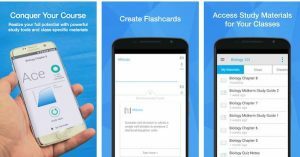 Flashcards+ is an online note card tool that serves best for high school students handling hard subjects. These flashcards can be viewed on your Apple Watch as well. They can be created in 22 languages with assistance for dialect, pronunciation & speech speed. This education app lets an interactive lecture experience in classrooms and most of the professors love this tool. Top Hat Lecture turns your mobile into an interactive learning tool to provide an engaging classroom experience. Students can see the teaching slides on their device synchronously in real time when the teacher moves the slide in her device. Teachers also use this option to give interactive activities such as multiple choice, sorting, numeric response, word answer, and click-on-image. This app also facilitates discussions and polling, automated attendance and real time feedback of lecture sessions. This is a brain training program that can improve your focus , memory, processing speed, their speaking abilities, math skills and a lot more. Elevate runs a personalized training program that alters over the period in order to maximize outcome. The regular use of this app can enhance your critical cognitive skills which in turn boost the productivity and self-confidence. The app contains 40+ games, personalized daily workouts as well as adaptive difficulty progression to give a challenging workout. This is an ideal app for parent communications that helps teachers to save a lot of time for quality teaching and other productive classroom activities. 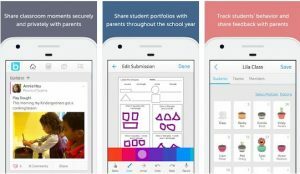 Bloomz lets teachers securely share important information or classroom updates with parents with ease. 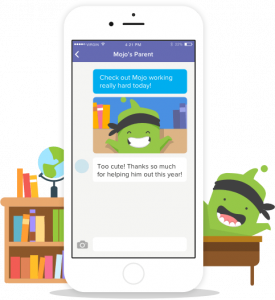 You can communicate with parents almost instantly using this messaging facility. Also coordinating events and signing up volunteers are a lot easier with this app. Teachers also utilize this app to give alert notifications for emergency matters. With the Socrative Student app, you can make use of quick question polls, quizzes, space races and exit tickets to evaluate your level of knowledge. Teachers can make use of this app to assess the understanding of the whole class. Without the need for any student accounts, students can use teacher’s unique code to get access to the teacher’s room. Using the StudyBlue education app for iOS users, the study materials can be customized in the form of images and audio. 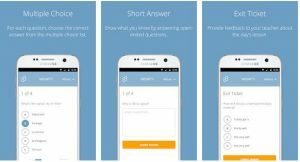 This app lets students to track their progress, quiz oneself and even create study reminders. Digital flashcards can be created and shared for free. The study materials made for your particular classes can be accessed flawlessly across mobiles, tabs and desktops. This app is creating a trend among students of diverse standards with over 5 million downloads. Students can use this app for foreign language learning. 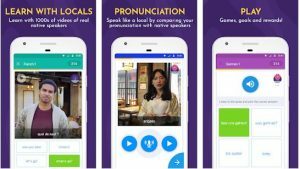 With access to interesting games, over 30,000 native speaker videos and chatbots, the Memrise app lets anyone to learn to read, write and speak foreign languages such as German, Japanese, French, Spanish, Chinese and Korean. The learning can be validated through games such as Difficult Words, Speed Review, and Listening Skills. The Memrise Pro even has options to experience language learning on the go with offline mode access. Students can enjoy playing while improving their intellectual, thinking and problem solving skills. 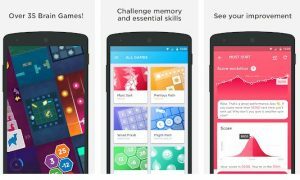 The Peak app has a range of games to help students to push their skills to the maximum. Depending on the areas that need improvement, teachers and parents can help them in choosing the game that enhance their memory and attention or one that boost their problem solving capability and mental agility. 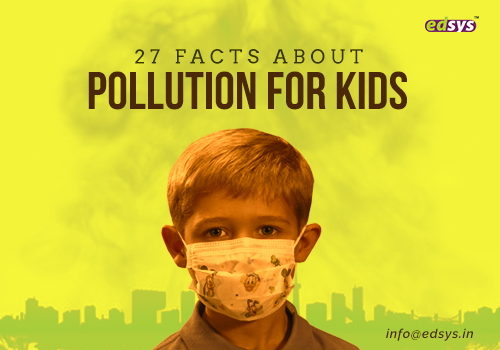 There are also choices of games that improve their coordination, creativity, language, or even emotion control. Are you worried about how to solve difficult maths problems? The Symbolab Calculator app lets you access step wise solution to mathematical problems making you understand the problem and solution in detail. 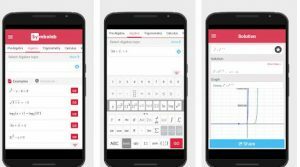 This maths solver app gives you access to a wide range of calculators such as equation calculator, integral calculator, limit calculator, derivative calculator, and inequality calculator. The app covers different sections of the subject including Functions, Geometry, Pre- Algebra, Calculus, Trigonometry, Algebra, Pre-Calculus, Matrix, Vectors, and Statistics. This is a great app for elementary students that help kids to move with the rhythm of cool songs. 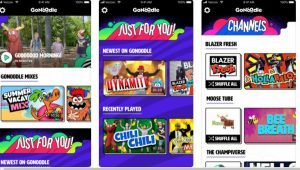 The GoNoodle Kids has an interesting collection of songs including ‘Don’t Read like a Robot’, ‘Pop See Ko’, ‘Kitty High Five’ and a lot more. This engaging video app encourages you to be active all the time and helps you to relax with mindfulness. The yoga activities help you to excel as a true performer right from the beginning. Students can grow up as better and smarter individuals with this amazing app. 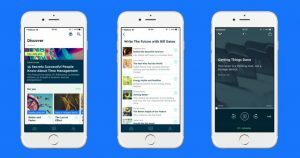 The Blinkist app has the short reads or short audios of the key insights of the top selling non-fiction books. Students can access these 15 minute modules to improve their knowledge, thinking and perspectives about different subjects. One can customize the playlists of their favourite reads or short audios from more than 2000 plus books. Students can listen or read offline too. Kids can use this app to easily access interactive learning content to make their study time more interesting and engaging. The Kids A-Z app gives easy access to range of eQuizzes, eBooks, and eResources in their library. Your close reading skills can be improved with the interactive annotation tools. The amazing options of this app are a real boost to personalized learning. In the latest version, teachers have got access to monitor the past hour app access details. This is one of the best word games available for iOS devices. 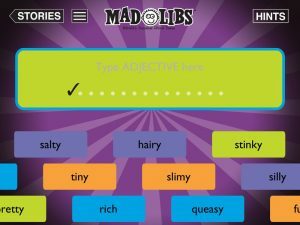 The Mad Libs app comes with innovative swipe gesture that helps students to create stories in an easier and better way and covers 21 free Mad Libs stories. For the chosen book, students can experience custom illustrations. 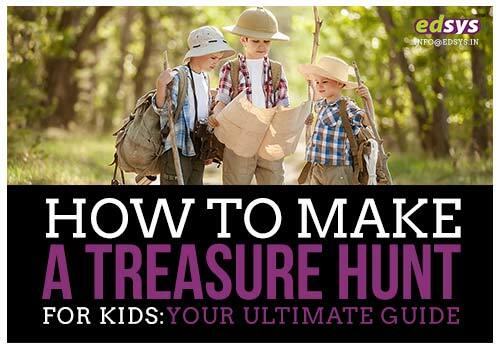 The app features a kid-friendly interface and the engaging hints offer motivation and swift your play along. The stories can be shared with your friends. This is a great learning management solution that can be accessed with your iOS device and students can have an engaging academic experience despite time and location. 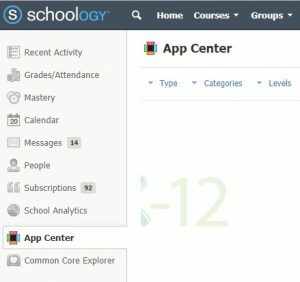 The Schoology app lets the students and teachers to manage the classroom in a better and efficient way. Students can use this app to take part in interactive discussions or craft and submit assignments. This app also lets them to collaborate with friends and do assessments. This is an award winning programming app with over 10 million downloads. The Hopscotch app lets students to learn codes just by creating games. Students can refer to the video tutorials or they can make it own their own. You can also apply the remix method to make new interesting games by accessing games from other Hopscotchers. Students love this app which lets them play and learn for free. 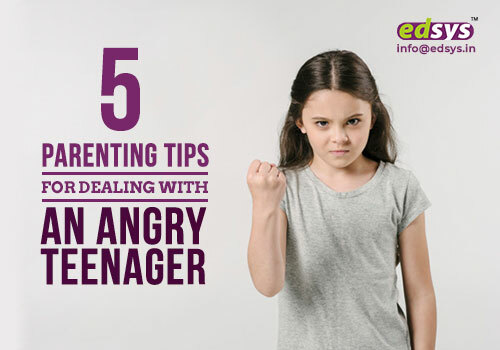 Students need not worry about difficult to solve home work problems, assignments or puzzles. 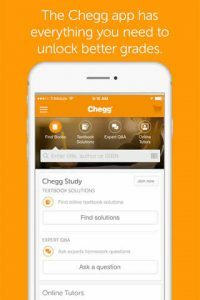 The Chegg Study app lets students master any difficult subjects with ease as they can have access to a wide resource of solutions to solve difficult problems. A huge range of subjects are covered by this app that includes Calculus, Accounting, Biology, and Mechanical Engineering. Students just need to take a snap of the problem and post in the app and they can get the solution from subject experts in as less as 2 hours. Students can access the app round the clock. Students can use this iOS app to stay well connected and be up-do-date and informed about their courses and content. The Blackboard lets students to experience virtual classes and meetings with web conferencing solution. This Blackboard Collaborate feature makes the whole session really amazing. Students can utilize the app’s possibilities to take part in collaborative sessions and take relevant assignments or tests. Grades for different assignments, courses, and tests can be accessed at ease. This amazing app that was featured in The New York Times has been among the top 50 apps for the last 3 consecutive years. 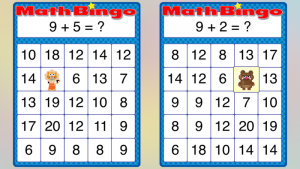 The Math Bingo app teaches the elementary operations of Mathematics through Bingo games. You can learn addition, subtraction, multiplication and division through different levels of the game. You can solve mathematical problems to get the pattern of Bingo rows. This interesting game has time limits and the score varies with the time taken to answer the problem. This app can be used as a study guide to learn a range of subjects such as drama, poetry, philosophy, literature, shakespeare, and short stories. 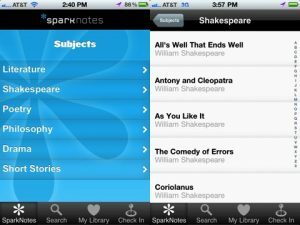 The SparkNotes app lets you access 100s of online guides a well as 50 pre-installed guides. You have an option to check in at the location where you study a particular subject and get to know about other users those who have interest in the subject. You have option to try the app absolutely free of cost for the first month. This is an amazing communication app that makes the interaction between the teachers, parents, and students a lot easy and safe. The ClassDojo app helps teachers to virtually bring parents to classrooms. Parents can have access to their child’s updates from home. The safe and instant messaging option lets teachers to have a transparent communication with parents on any upcoming activities or special reminders. 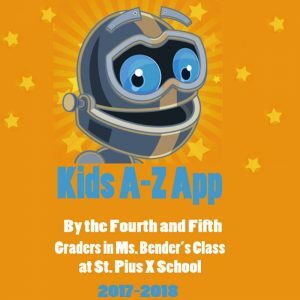 This app can be accessed for free and teachers can promote a positive classroom culture and a collaborative learning experience. This platform allows teachers to manage content on the students’ iOS devices. 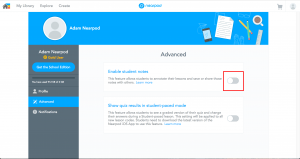 The Nearpod app can play a vital role in interactive collaboration and presentation and it can act as a real-time assessment tool too. Teachers are widely using this app to share synchronized lessons in a much easier way with students and engage them through polls, quizzes, videos and drawing tools. The classes can be made more interesting with interactive Nearpod presentations. This is a widely used video discussion platform that can help educators to have a wider insight of different problems. 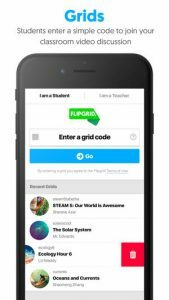 The Flipgrid app lets students and teachers to share their voices on different subjects. Teachers usually post interesting posts and questions on different subjects and trigger discussions. Students can respond to the posts and share their response with friends and promote social learning. This platform also guides students to respect the voice of others. This app with over 200 million users is Apple’s iPhone app of the year. 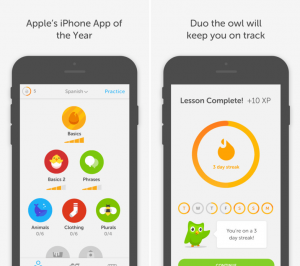 The Duolingo app is an easy and efficient way to learn languages. Learning a new language with this app can be real fun and the students can choose from a list of commonly used 23 languages of the world including German, Italian, Dutch, Danish, Portuguese, Russian, Irish, Swedish, Spanish and French. While learning a language, you can go up different levels and compete with your friends to make the whole idea interesting. These amazing apps can really make an impact to a student’s life and help them to grow up as smarter and better individuals. Most of these education apps are available for free and you can download your favourite one from the official website. Teachers are bringing more apps to the classrooms to make the best out of the present era technology and possibilities. 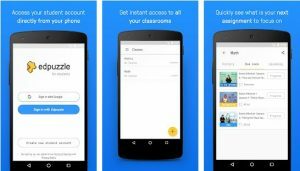 These apps have made the communication between the students and teachers more transparent and that has a lot to do with their enhanced learning experience.